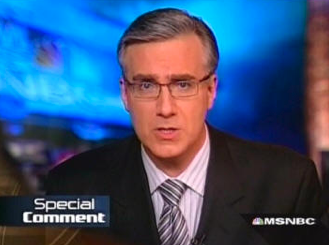 MSNBC has cut ties with Keith Olbermann. Tonight the liberal cable host announced the shocking news. A spokesman said that Comcast’s acquisition of NBC Universal had nothing to do with the decision to let him go. Back in November, Olbermann was suspended for two days for violating a network rule on political donations. So now Lawrence O’Donnell will fill Olbermann’s 8:00 PM slot beginning on this upcoming Monday. Wow. That was kind of shocking…. Regis Quit the Show Over Pay Cut and Kelly is MAD!